← Zentraveler on Zen Koans! 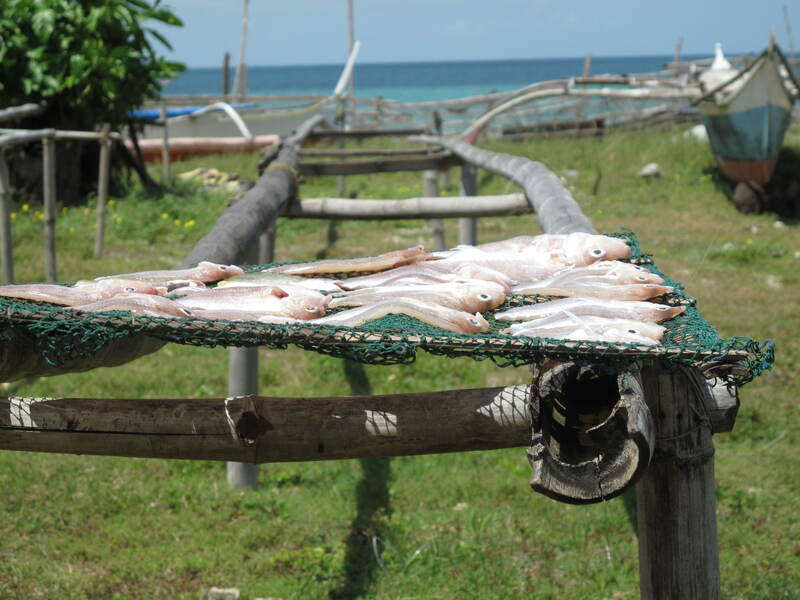 Zentraveler discovers quaint fishing town of Madridejos, Philippines! Once nicknamed the “The Little Alaska of the Philippines”.. Madridejos has a population of 29,00 people who live on the tip of Bantayan Island. Most of the folks make their living in the fishing industry. Kota Park has an excellent sand beach, an old fort museum used as a watchtower to defend the town from maruders, and a scenic pier extending into the sea. 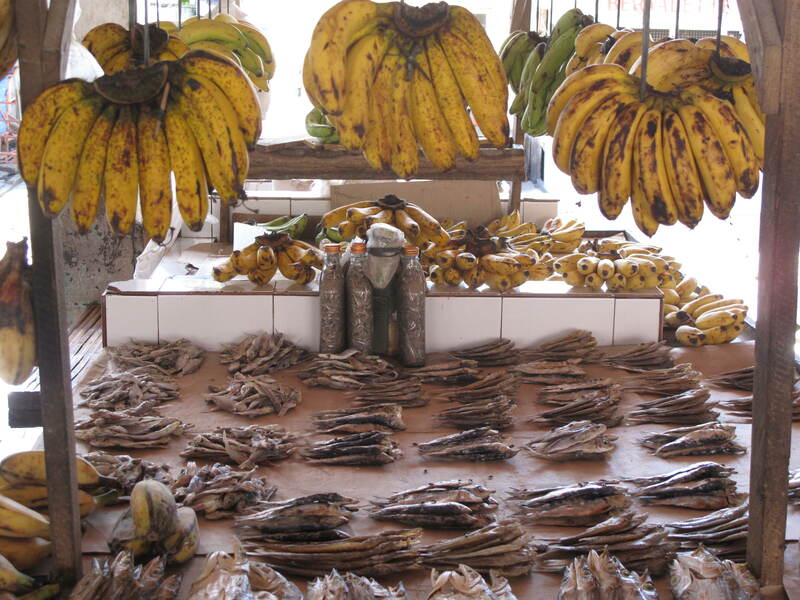 It abounds in dried fish and has two crab factories on the waters edge. 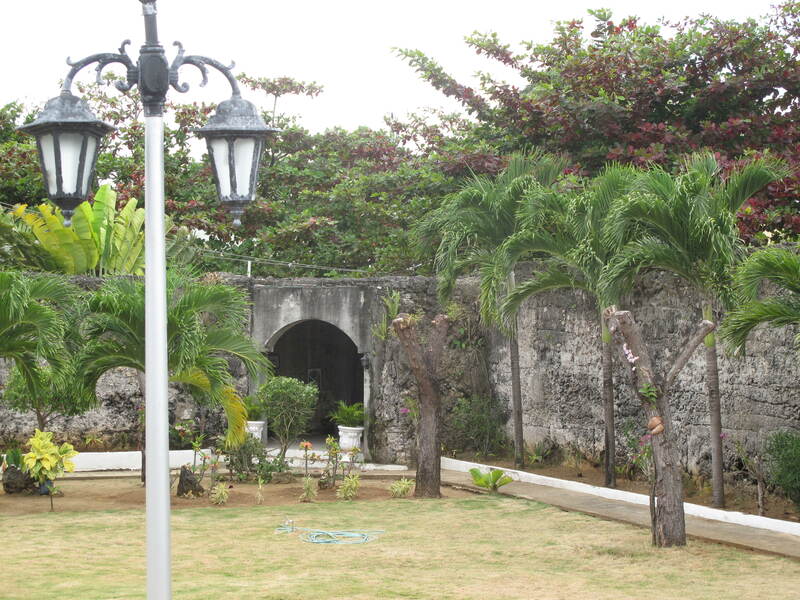 In the town square their is a picturesque park adjacent to a large cathederal set among large shade trees and flowers. As you walk around Madridejos you will be amazed at all of the small shops chalked full of all sorts of things to purchase.There is a local general market with lots of shops and a large wetmarket to purchase fruits, vegetables, meats, and especially fishes of all sizes and descriptions. The streets are wide and uncrowded except for some jeepneys and tricycles. 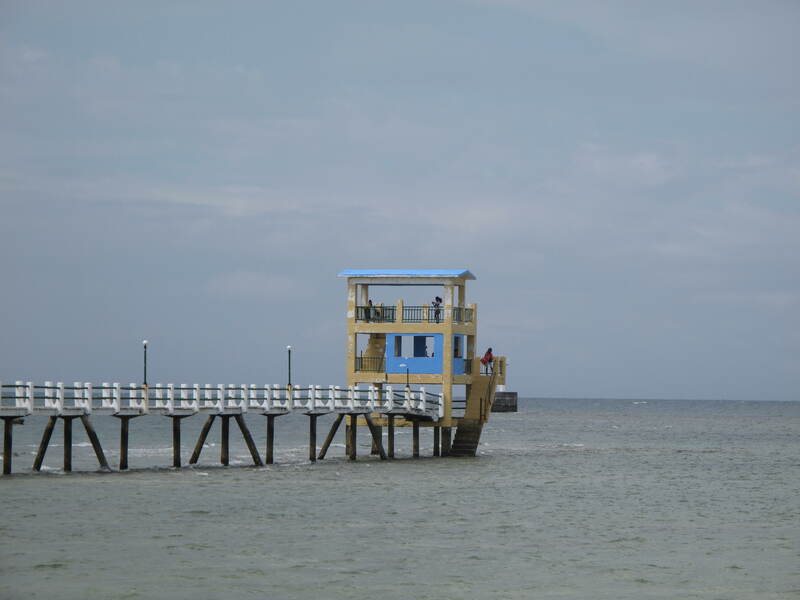 If you want lodging you would love the quaint Green Beach Cottages that look onto the sea and have beautiful manicured grounds with a variety of flowers and tropical plants. As you head toward the sea you can see colorful fishermans houses dotted along the seacape between the swaying coconut palms. Madridejos is a 4th class municipality in the province of Cebu, Philippines. 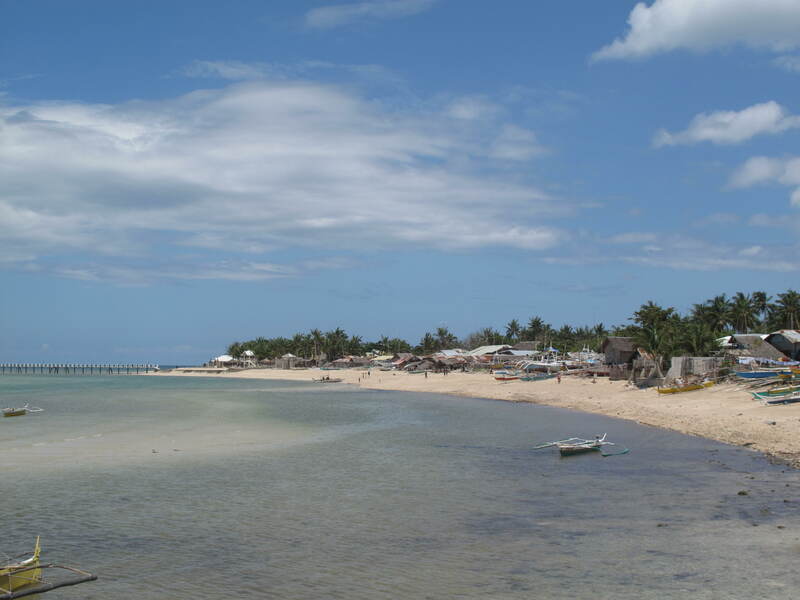 It is one of the three municipalities that make up the island of Bantayan. It is bounded on the south by the municipality of Bantayan, Cebu, and on all other sides by the Visayan Sea. Lawis was the old name of Madridejos. In fact, even up to the present, the less young among the people still use the name Lawis. 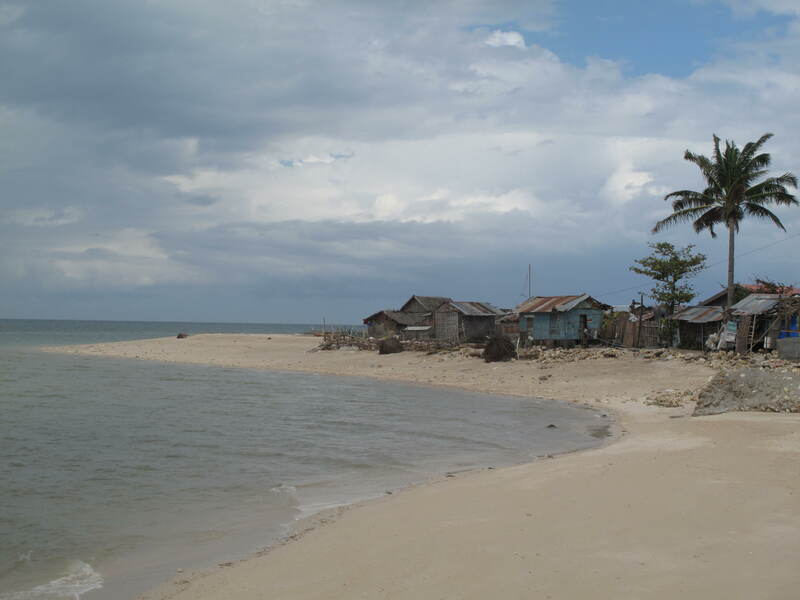 In the vernacular term of “Peninsula”, the portion carved out to constitute the Municipality of Madridejos being the peninsula located on the Northern side of Bantayan Island facing the Visayan Sea. 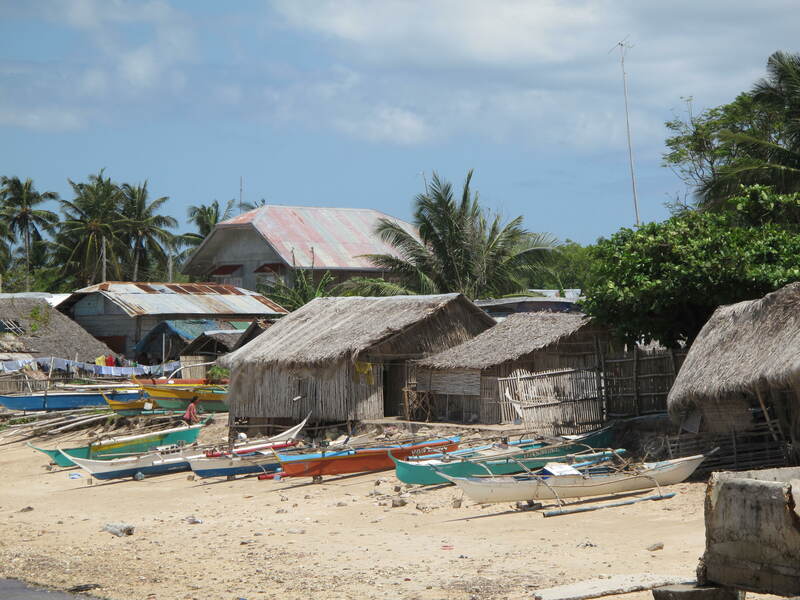 The first fisherman, Lazaro Mangubat, came to live in Mancilang, Lawis after discovering the place as one of the rich fishing grounds of the country. The general scenery of Lawis was that of a quiet place, of Virgin grounds covered by small shrubs and lantana. When more people discovered Lawis and flocked to it, the place became a visita. 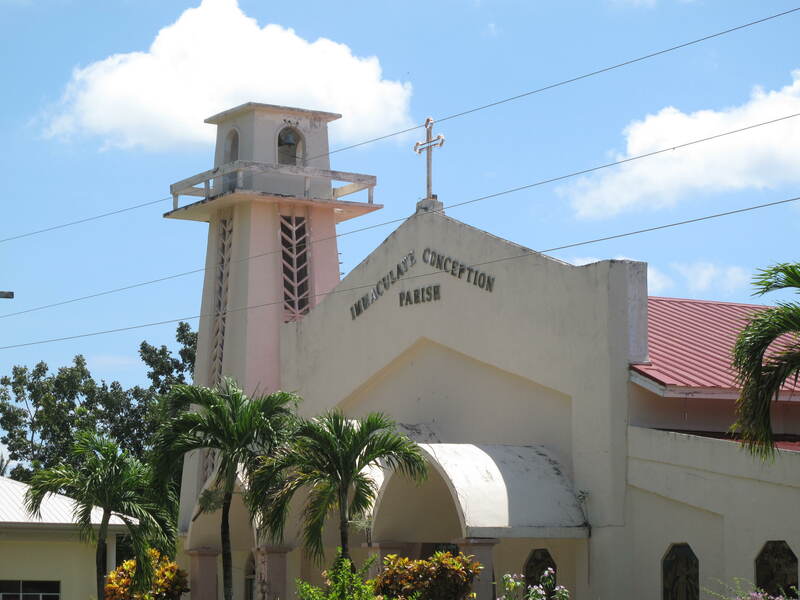 In 1889 when Pedro Benito Romero De Madridejos, the Archbishop of Cebu, came to visit the place, Father Juan Alcoseba, then the curate of the place, renamed Lawis…. Madridejos in his honor. The main industries of Madridejos are fishing, poultry and tourism. Because of its rich fishing grounds, Madridejos earned the name of “Little Alaska of the Philippines” and as a matter of fact the first canning factory in the country was established in Madridejos, but it lost its sustaining impact in the history of the municipality after it was bombed during World War II. At present, poultry raising is a booming industry and Madridejos contributes a substantial quantity of eggs produced for sale to the neighboring provinces. So there you have it! If you can scrape up $600.00 dollars a month you could probably live pretty well in Madridejos and be in on the ground floor of a yet to be discovered fishing village… of course you have to share your bounty with the locals and put up with balmy days, doing nothing except eating fresh fish and crabs under the swaying coconut trees….and watch the world go by! THINGS YOU MAY NOT KNOW: People were shocked to find the fish with “hands” – and now scientists are even more shocked to find a fish that happens to be a skilled rock climber. It would seem the march of evolution is indeed inexorable. Lithogenes wahari is a type of catfish with specialized pelvic fins that act as gripping “hands” to climb rocks, walls and other terrain. The fish is incredibly rare and the most recent sighting occurred after twenty years of research. There are actually a number of so-called walking fish although not all are true fish. THINGS YOU MAY WANT TO SAVE: The sea and the fishes in them!! I just read a report that we are putting more plastic garbage into the ocean around the world then there are fish. You be the judge…. when will we ever learn to help take care of our planet! ZENTRAVELER SAYS: Get involved! Do something to help save our planet before its too late. From here to Infinity is a relatively short ride! The next leg takes eons and eons as you fly through the Barycentric Dynamical Time Zone! …and on and on and on. Follow the Zentraveler Blog often for Travel, Health and Zen-like stories and such. Where else can you get a three in one blog for the price of free? Hey Van this is Fox here nice I could find your blog, you seem to be doing ok.
What im wondering is what has happened to Wolf/Uffe? I havent heard from him in months, is he alright? Tried to contact him several times through email but no response. Please write here and let me know. If you get in touch with him ask him to mail me or something.